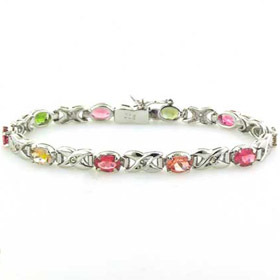 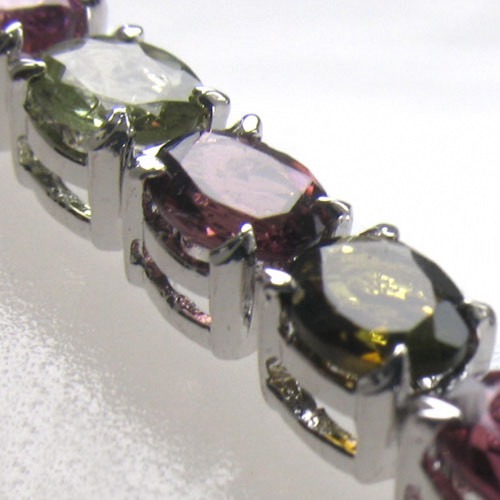 Fine quality tourmaline bracelet set in sterling silver. 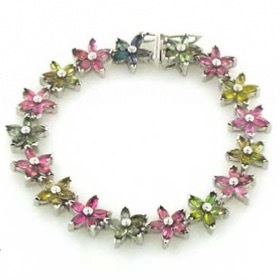 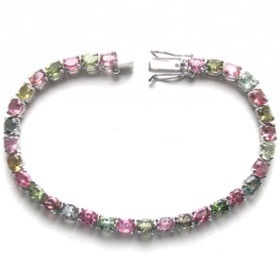 This exquisite bracelet is created from the vast array of colours that tourmaline gemstones occur in - all shades of pinks and greens, blue and gold. 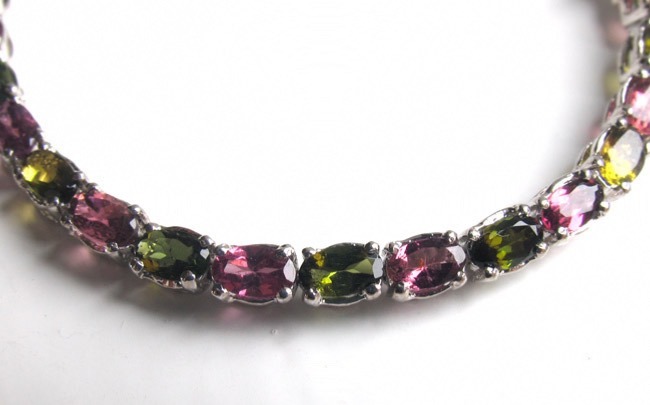 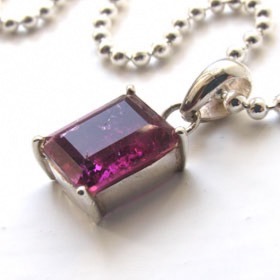 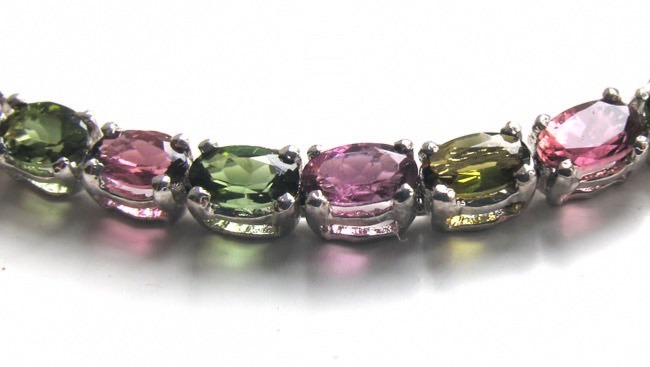 This cornucopia of colours makes tourmaline an unusual semi-precious gemstone. 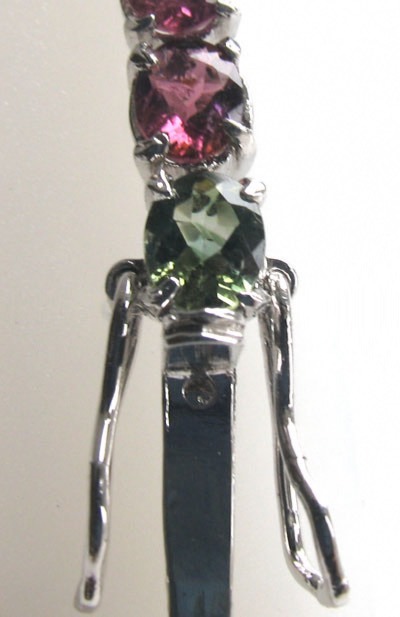 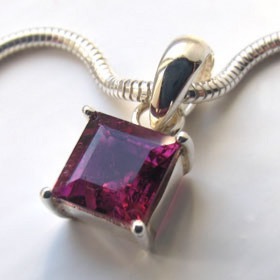 To find out more About Gemstones. 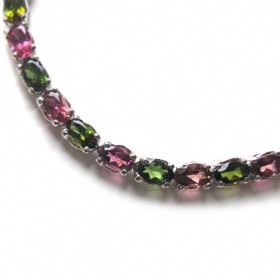 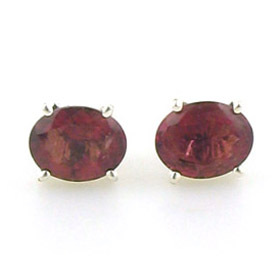 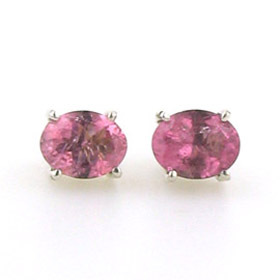 These tourmalines are top quality, clear, faceted gems. 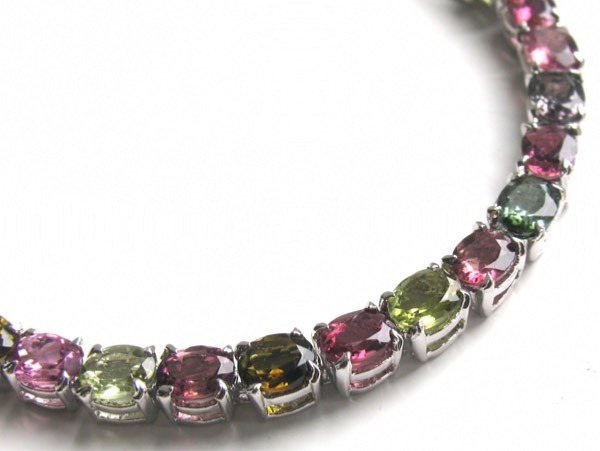 They have exquisite brilliance and glitter magnificently in the light. 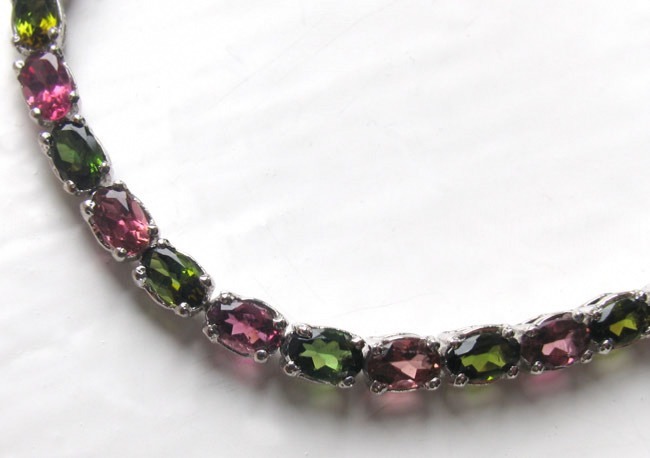 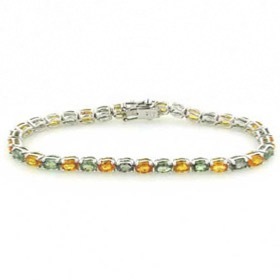 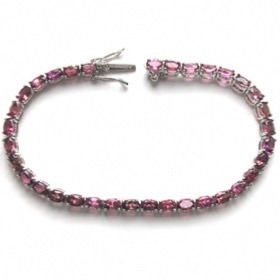 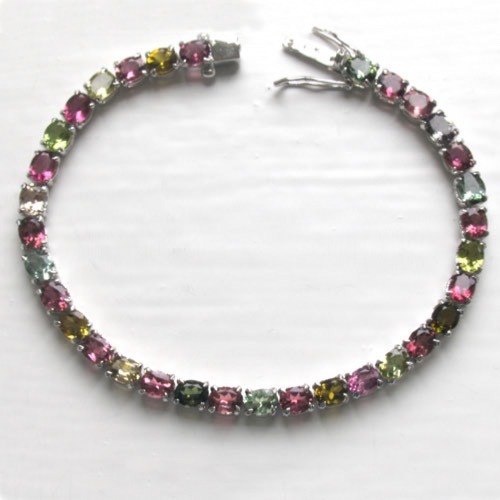 This tourmaline bracelet is hand made and fastens with a safety catch.